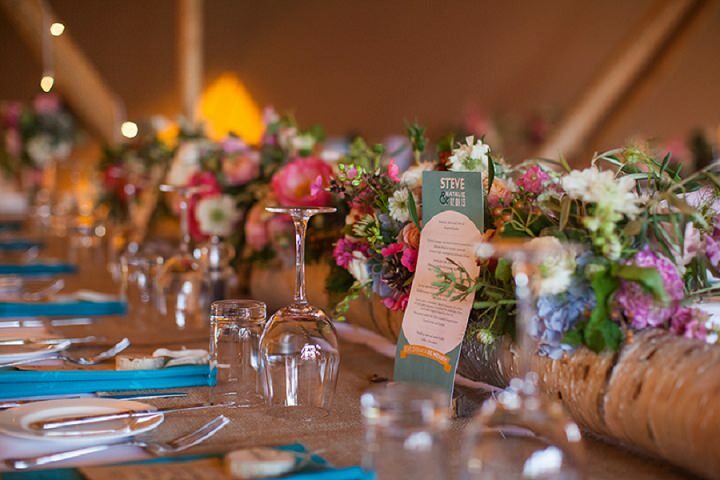 Following on from this mornings Tipi wedding advice, which was provided by the wonderful team at Elite tents, we have Part 2 of their super informative post on the pros and cons of planning a Tipi wedding. They gave us Part 1 which was full of must know information for all of you currently planning a Tipi wedding or considering it as an option. So read on and let Jacquie at Elite Tents give you her expert advice and experience and help you plan your dream wedding without a ‘hitch’. 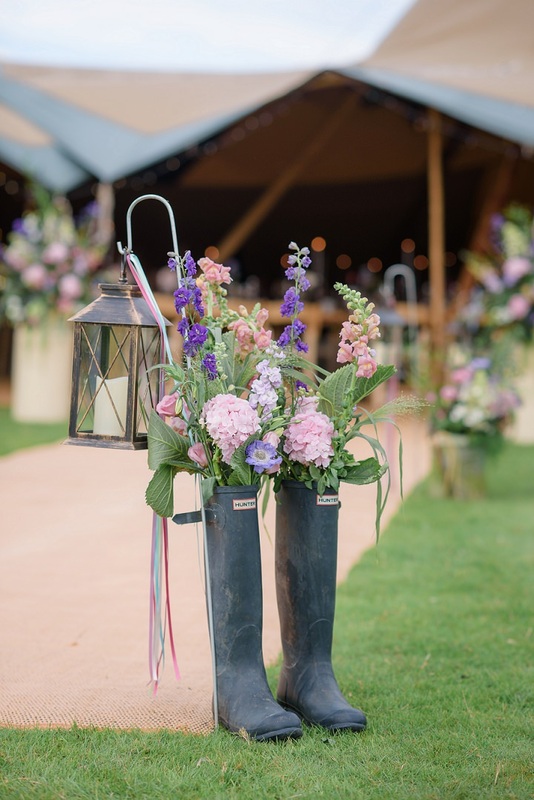 In my previous blog I looked at how the venue, the weather and the organisation of a Tipi Wedding can by some people initially seem worrying and too many of these ‘cons’ can put off even the keenest couples from taking the risk to have a DIY Outdoor Wedding. Hopefully I managed to persuade you that these really are not issues, especially when you have the on-hand advice and guidance of an established tipi company. In this blog I would like to continue to try and dispel any further worries that you may have. These I know are very real and when you start your planning even if you haven’t thought of them, there is often someone in the family who will start to point them out to you! One of the most common one of the cons that parents talk about we find is that you are going to be “stuck in a field all day”. My answer to this is just that you need to make sure people feel comfortable and relaxed in their environment. Soft seating is a good way to ensure people are comfortable. Having some rattan furniture or similar in a different area of the tipis, away from the dance floor can be great especially for older members of the family. It can allow people to sit and chat without having to talk over the music during the evening and can be more comfortable if you have been sitting at the main tables for long speeches. It’s also really atmospheric to add a firepit to this area. Another way of making the day more relaxed and comfortable is to ditch your table plan. Couples seem to spend forever trying to work out the best way to seat their friends and family – sometimes because there’s people they know will want to sit together, and sometimes because there are people they need to keep apart. But the truth is most people enjoy mixing with people they wouldn’t normally. Why not let your guests choose? Others of course will spend the evening dancing and might find they want to kick off their shoes to do so. So, you could provide a basket with flip flops for the tired feet. And while we are thinking about dancing – it does not matter what your taste in music – you need to include a few ‘cheesy’ tunes to get everyone up onto their feet. And when they really are running out of energy to dance, you can then reward them with a late-night bacon roll or soup! 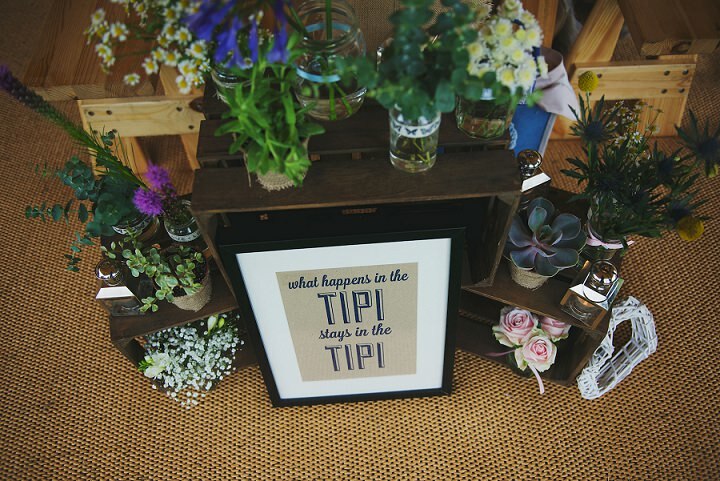 Another perceived ‘con’ of a Tipi Wedding is that you are going to struggle to have proper catering. 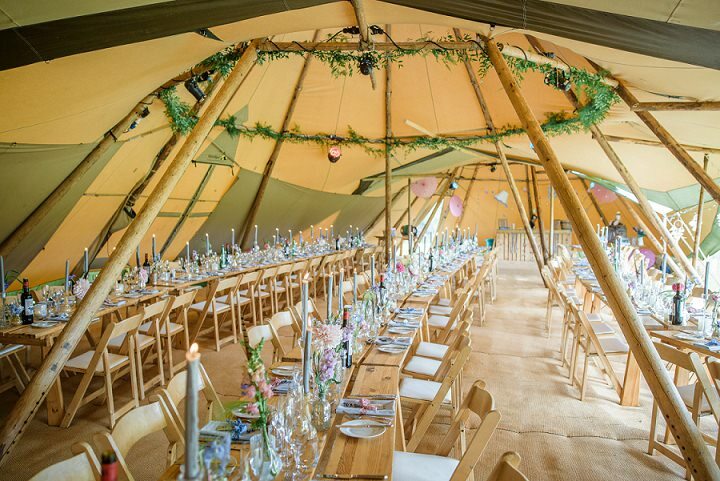 But the truth is that just as the tipis are a blank canvas for decorating and styling your reception, they also give you the freedom to whatever you want to do. Many caterers are now geared up for outdoor events offering a huge variety of options form fish and chip vans to 5 course meals. We have been absolutely amazed by the fantastic menus that come out of our 6m catering annexe. So, provided you hire a professional you can literally choose your menu to suit your vibe and your budget. But having tipis doesn’t mean you definitely have to have an informal meal either. Plenty of couples choose a high tea, haute cuisines with canapés or a glorious buffet. We have even seen picnic baskets of tasty sandwiches and nibbles served to each table. In terms of drinks too – bucks fizz on arrival is not necessarily your only choice these days. You might have a favourite tipple you would like everyone to share. Schnapps is great fun, miniature bottles of Prosecco with a straw, cocktails such as Pimms and Mojitos. And if you are not sure what to offer you could present your guests with a voucher to choose a drink at the bar. And for the guys buying a keg of local ale or cider always go down well. It’s sensible to have water on the tables, so why not collect some old-style lemonade bottles to create a vintage style. You can dry hire a bar and provide the drinks yourselves – often your caterers will be happy to serve them for you, or you can get a pay-bar so that guests can choose their own drinks after the wedding breakfast. Pay-bars are licensed to sell the alcohol and often have a bar they can bring with them. Some even specialise in certain types of drinks or cocktails if that is what you would like. With all this choice and so many fantastic suppliers that can help you, outdoor weddings really do give you the freedom to do as you please. It may seem to some to be over-thinking things, but one of the biggest concerns for our couples is that they want to make sure their guests have a great time. They also want their wedding to stand out from all the others that their guests attend. Let’s be honest, we have all been to many weddings over the years; some good, some expensive, some where the food was cold and some where we have had an amazing time. But even the best of weddings can seem to all roll into the mix – just a case of remembering which hotel it was at or how expensive the bar was! You won’t want your wedding to be forgotten or worse still to be remembered for the wrong reasons, so my tip to overcome this issue is to give them lots of great things to do. Having music during the day creates a relaxed atmosphere during the day and a focus for the guests while you are having photographs done. An acoustic band or even a solo singer is perfect for this. 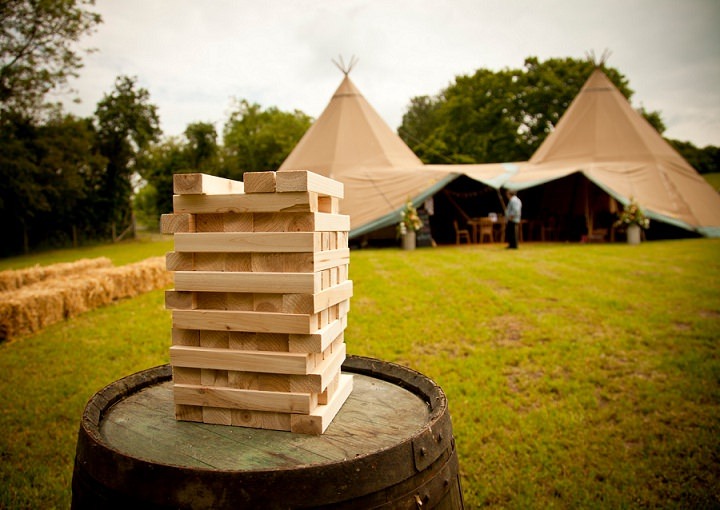 Outdoor games such as boules or giant Jenga can keep your guests amused too and we have even seen gazebos with coconuts shies and hook a duck which go down really well. One couple hired in dodgem cars and we have even seen photos of guests welly-wangling! If you are happy for guests to be seated before the wedding breakfast you might like to put out something for them to do together – this works particularly well if you have decided, as previously suggested, not to have a seating plan. Having a quiz or puzzles on the tables can get people who don’t know each other chatting away. This is a fun alternative to the usual favours. 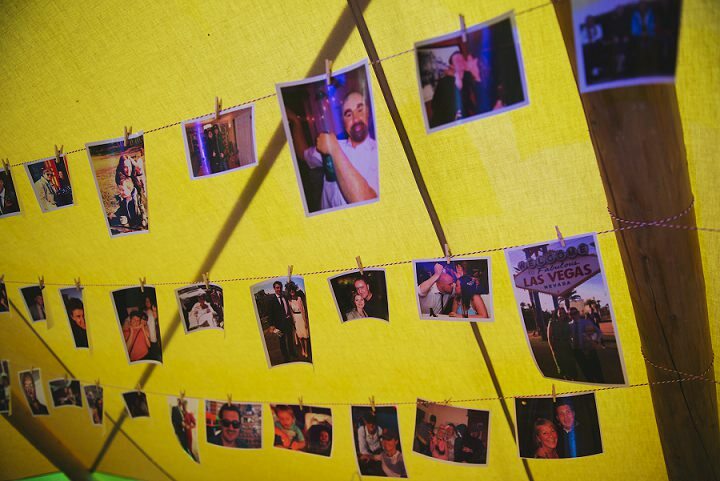 Photo booths are also really popular and again allows the guests to have lots of fun. I think the most novel example of this recently was a photo ‘car’ where the guests sat in the classic car for their photos. A final idea for fun is to hire a magician or lookalike to visit the tables and chat to guests performing tricks or impressions. Your wedding really would go down in history if there was a special guest like that! Overall my advice is that while there are lots of reasons that might make you think you can’t, shouldn’t or even dare not have a DIY outdoor tipi wedding there are actually many reasons why having this type of a reception is an absolutely fabulous alternative to a traditional wedding venue. And the key to all of my suggestions and tips is to make sure that whatever you choose for your special day is in line with your character. Some of the ideas I have mentioned might really appeal to you, but I am also sure that some won’t. Remember these are ideas from almost 700 weddings that I have simply pulled together. You know your guests so you will know what would be most fun for your day. My last tip is to think about the whole theme of the wedding and use that as your starting point. Using a board on Pinterest is a great way of collecting ideas – there are lots of example of images other brides and companies like ours have already put together that will help you. Table names linked to you – favourite bands, films or character; places you have visited, anything important to you. A wishing tree instead of the usual guestbook. My summary of what it takes to make your wedding truly amazing and memorable. You will need to think about it, you will probably need to ask your friends and family for some help – but think of all those fabulous evening spent together making bunting or similar things over a glass of fizz (or a cup of tea if you prefer). 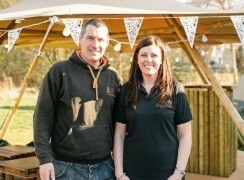 Elite Tents is a family run business owned by me and my husband Richard. We pride ourselves on excellent customer service. Established in 2010, we are big enough as a company to have the experience, knowledge and resources to guarantee that your day will be amazing. But we take on a maximum of four events in any given week so that you can be sure that we will still be able to get to know all of our couples personally. That way we can work with you to help make your special day one that really will be talked about by their families and friends for many happy years to come. If you would like some help then I would love to support you further. Sophie, Debbie and I love talking tipis and helping you to get your ideas together. 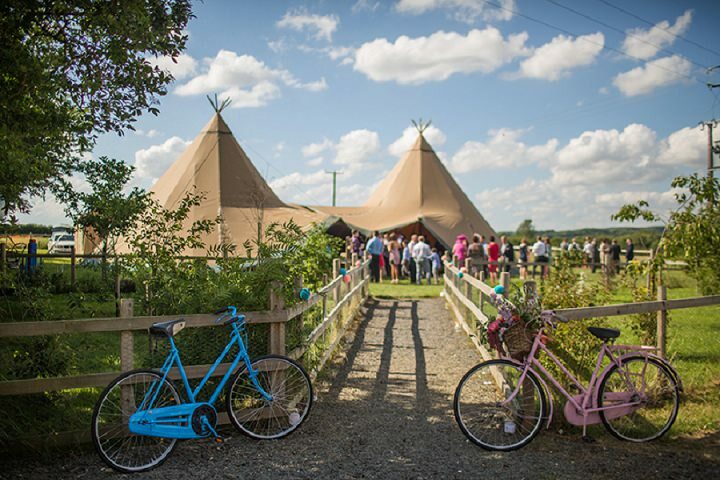 So if you are interested in having a tipi wedding that no one will forget, give us a call on 0121 663 1133 or drop me a line on: enquiries@elitetents.co.uk / www.elitetents.co.uk and we’ll be delighted to assist you. The post Ask The Experts: The Pros and Cons of Planning a Tipi Wedding with Elite Tents (Part 2) appeared first on Boho Weddings For the Boho Luxe Bride.